In the midst of summer bridal show season and we’ve had so much fun meeting soon-to-be newlyweds! We love getting the opportunity to show off to you! Clear Choice Photo Booth is nationwide, and we are attending many bridal shows all throughout the country. If you’re engaged, come check us out at a bridal show nearest you! We provide many things for you and your guests when they visit us at a bridal show. We like to give you as much as we can as you’re deciding on which photo booth rental company. 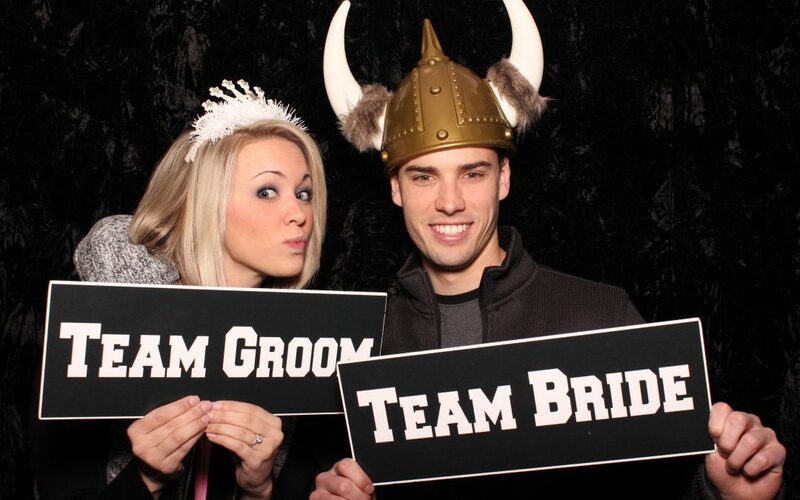 Here is a list of reasons to visit Clear Choice Photo Booth at a bridal show. You get to try us out. Not only is this the most fun part of visiting Clear Choice photo Booth at a bridal show, but it is also the most important. You can ask as many questions as you want (we love answering questions, by the way! ), but the true test will be how you feel about the experience when you use the booth. How does the attendant assist each session? What is the quality of the photos? How long does each session take? You will experience the answers to these questions—and more—first hand when you try us out. We have some amazing discounts and giveaways at the bridal shows we attend, which you can only get if you come to the show and meet us face-to-face. Don’t hesitate to come talk to us, because you’ll often find that after we ask a few questions we can give you specific information on the discounted price depending on your wedding date. Often times we’ll also hold some sort of giveaway, whether it’s a raffle or part of a bouquet toss or something equally fun! You get to experience what your guests will. When you attend a bridal show you are a guest, just as those who you have invited to your wedding. You are not stressing out about little details and it is not the biggest night of your life. You are just enjoying your time with friends or family or your fiance, browsing around and eating great food. So when you come across a photo booth, your mind can be focused on the fun and not making sure all of your guests are happy. What you experience in the photo booth at a bridal show is similar to what your own guests can experience at your wedding: undivided fun. You get a keepsake of your fun wedding-planning day. There are a lot of goodies when you attend bridal shows! But it’s not often that you’ll find something customizable, just for you. For our bridal shows we provide everyone in the photo booth with a print of the photo strip, just as you would get with each of our wedding packages. So everyone can take home a memory of the bridal show they attended with you. But don’t worry, we have business cards for you too! You can reserve a booth on the spot. Often the discounts we provide at bridal shows are for a limited time only. This encourages you to book at the show, to ensure that we will be available for your wedding day. You don’t need to have all of the details set. We are very flexible with changes, and you don’t need to pay everything up front. We ask for a small deposit, you receive a large discount, and then the remaining balance is due 30 days prior to the wedding. You will be able to talk face-to-face to a specialist while reserving your booth. We’ll be there answering any questions you may have and recording as much detail as you provide. Props can really liven up a photo booth session. We have so many unique props that you can only get from Clear Choice Photo Booth, and coming to our bridal show allows you to view them and try them out. You will see how much added fun props can bring to a photo booth rental. We have beautiful props that fit the theme of your wedding! Not everyone enjoys photos, but props are great icebreaker to help guests feel more comfortable. You can see what your spouse-to-be would look like with a mustache. Maybe you already have your heart set on a photo booth, but your fiance may not be on board. We’ve got quite a few super hero masks, some fun signs and tons of mustaches in case they want to see what they would look like with some hair under their nose. Snap some pics in the photo booth, give them a copy of the printed photo strip, and voila, you have successfully showed them how fun a photo booth would be for you and your guests. You get one-on-one time with one of our wedding specialists. If you have questions you have, you can ask! Any doubts you have, you can tell us! Details on the wedding you want to share, you can share with us! You get as much one-on-one time that you need for us to provide as much information as we can to make your decision easier. You might have what you believe to be a potential conflict. We can let you know how we can work around certain things and how we are up for a challenge! If you see us a bridal show and you have considered a photo booth rental for your wedding, please don’t hesitate to come by our booth and talk to us. You can explore what we offer. We offer much more than we let on. Aside from the fun props and amazing printed photo strips, we also have available personalized scrapbooks, GIF booths, and so much more. We often bring several of these items with us so that you can view them yourself. We love sharing our scrapbooks, full of photo strips and messages and well wishes from guests of past events. Also demonstrated is our GIF booth, as well as a book of our many photo strip designs. You get to talk to us at a bridal show. This is kind of mentioned earlier on the list, but we thought we’d repeat it so that it is really clear that we love talking to engaged couples. Not only do we love answering your questions, sharing information and giving you discounts, but we love hearing details about your wedding, talking with your friends and family, and getting to know you. We have so much fun because of you, we highly encourage you to visit us at our next bridal show! We have many upcoming bridal shows, we are looking forward to meeting all of the newly engaged couples. 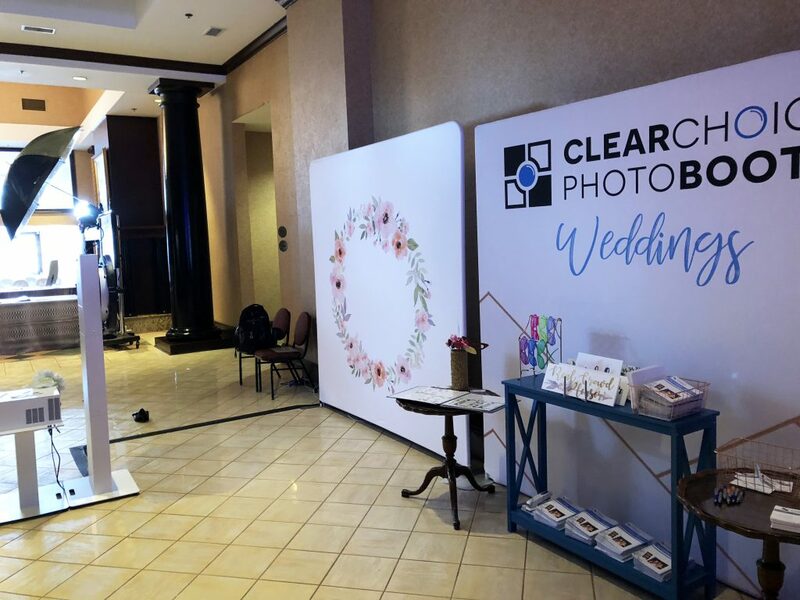 Have you seen Clear Choice Photo Booth at a bridal show? What was your favorite part of the event? Find our next Cleveland-Area bridal show here!